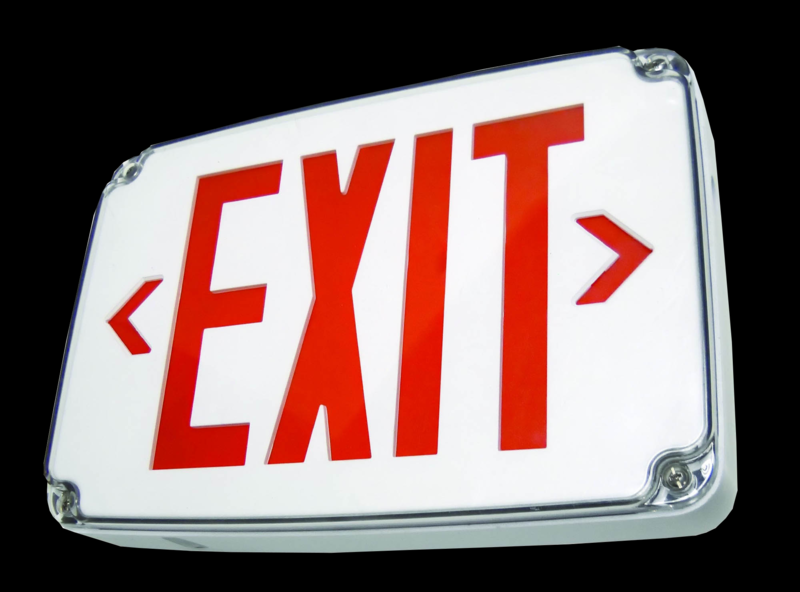 The WLE provides ultra-bright, long-life red or green LED exit sign illumination. It has a corrosion-resistant enclosure with engineer-grade silicone gasket. The WLE possesses a 4.8V long life, maintenance-free rechargeable NiCd battery. A fully automated solid-state, two-rate charger initiates battery charging to recharge a discharged battery in 24 hours. A polycarbonate mounting canopy is included for top or end mount. Custom signs are available with custom wording.